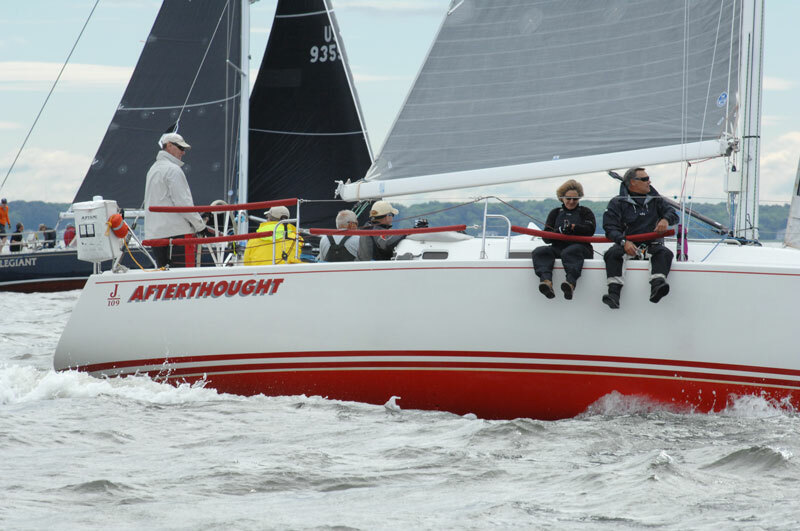 Greg Cutter will always remember the 68th Down the Bay Race for the Virginia Cruising Cup, and there are two reasons why. Cutter achieved a couple personal milestones by capturing class honors for the first time in 12 attempts while also completing the Down the Bay Race double-handed. Last year’s Down the Bay Race started in 20 knot winds out of the west-northwest. It was gusty for most of Friday with many competitors reporting readings in excess of 30 knots. One might think such conditions would really test a two-man crew racing an Andrews 28, but Cutter and Dave Godwin were more than up to the task. “We were across the Potomac River by five in the afternoon, which is the fastest I’ve ever done that. We were able to get the boat on a plane during the downind run in strong breeze and were just flying,” said Cutter, whose boat named Diablo finished the 120-nautical mile race with an elapsed time of just over 23 hours – ahead of many fully-crewed entries. 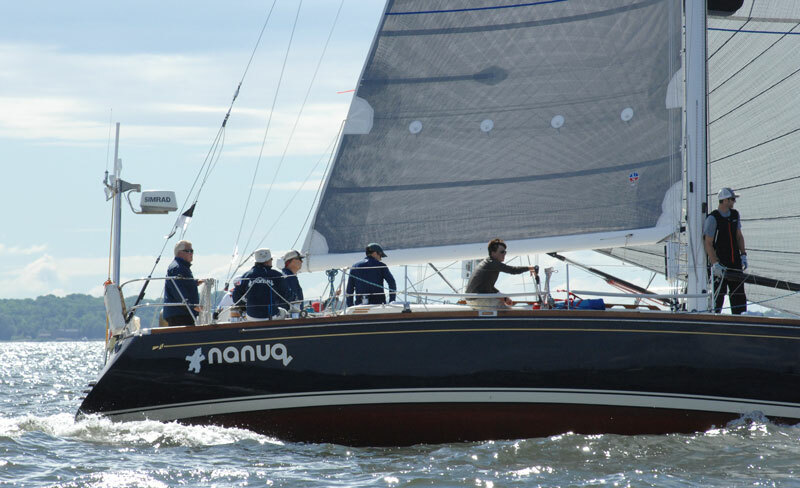 Diablo took first place among five entries in the PHRF Double-handed class, which is relatively new for this classic Chesapeake Bay distance race. 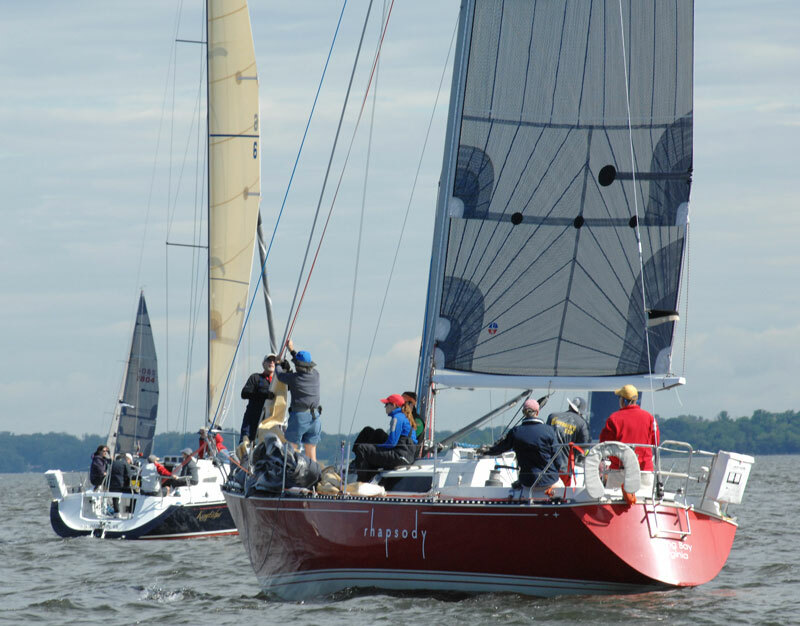 Cutter would love to see the class double in size for the 69th Down the Bay Race for the Virginia Cruising Cup, which will begin off Annapolis on May 25. Cutter would certainly add the word challenging to describe Down the Bay, as the mere distance combined with the various navigational hazards on the Chesapeake Bay are a test for all crews no matter what the size. Cutter admitted that Godwin was a bit skeptical of doing Down the Bay double-handed, but thoroughly enjoyed the experience and is very excited about helping Diablo repeat as class champion this year. 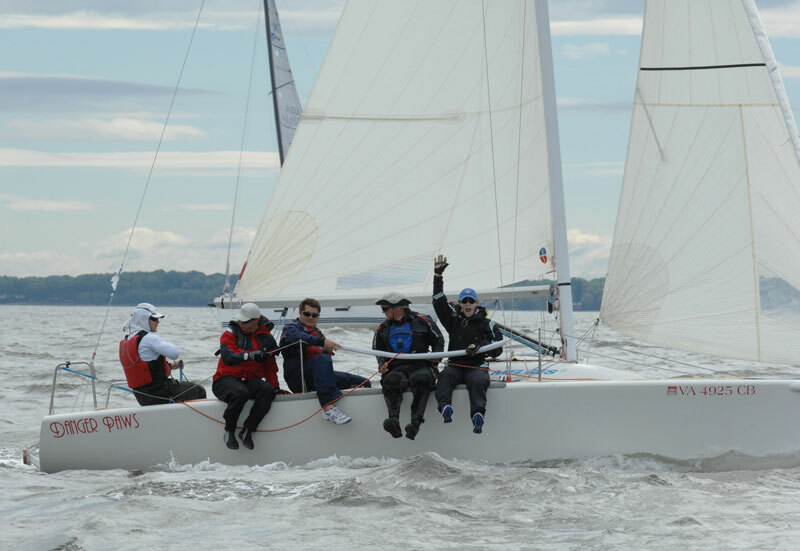 Entries in the double-handed division of Down the Bay compete under Chesapeake Short-handed Sailing Society (CHESSS) guidelines, which require all sailors to have harnesses and jack lines. Rich Acuti, who founded CHESSS in 2015, said the organization has grown from 18 members to 112 in just three years. If more members show an interest in point-to-point distance racing, CHESSS is considering adding a coastal competition such as Cape Charles to Cape May. 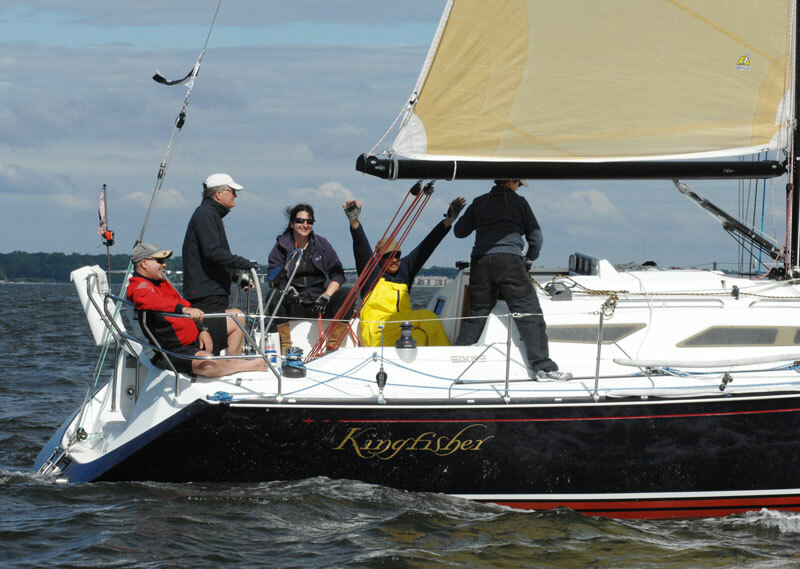 Organizers with Storm Trysail Club see great growth opportunity with the double-handed class for the venerable Down the Bay Race. Competition will once again be offered in ORC (Offshore Racing Congress), PHRF and Multihull classes as well. 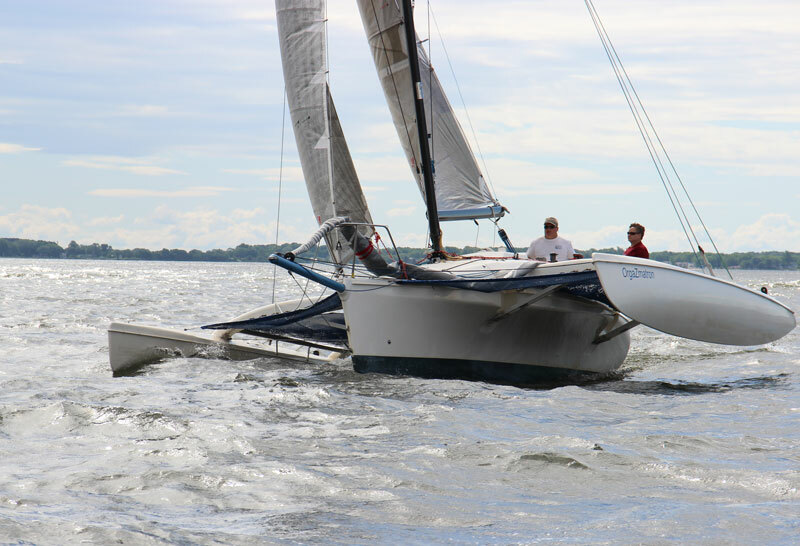 Storm Trysail Club and Hampton Yacht Club have joined forces to revitalize interest in Down the Bay, which was once the largest distance race on the Chesapeake Bay. Wilcox would like to see more owners consider using Down the Bay as a feeder for Southern Bay Race Week, which is being held the following weekend. As always, Hampton Yacht Club will host a first-class dinner party and awards ceremony for the 69th Down the Bay Race on Saturday, May 26. 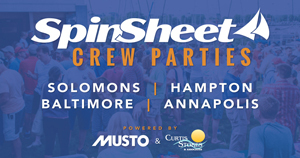 Most participating boats will berth at Hampton Yacht Club while there are also slips available at the adjacent Bluewater Yachting Center at a discounted rate. 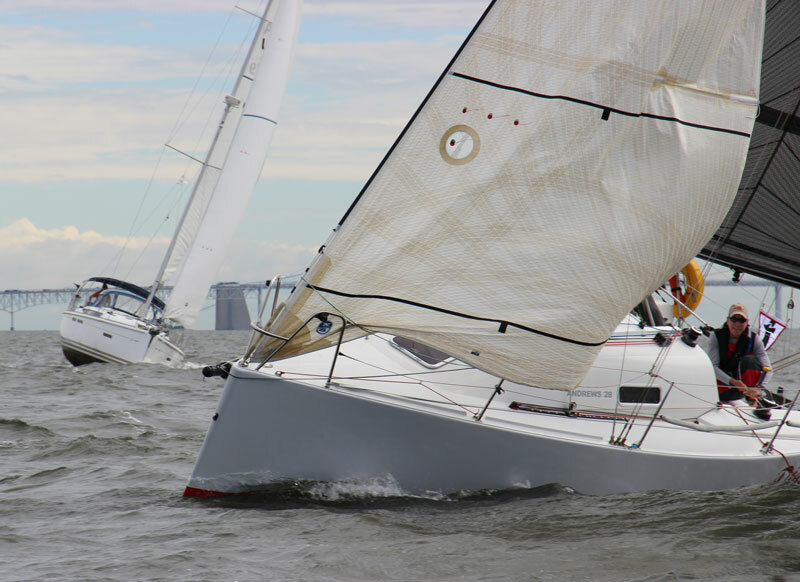 Jeroboam, an Annapolis-based Farr 400 owned by Laurent Givry, captured the prestigious Virginia Cruising Cup as overall winner of the 2017 Down the Bay Race. 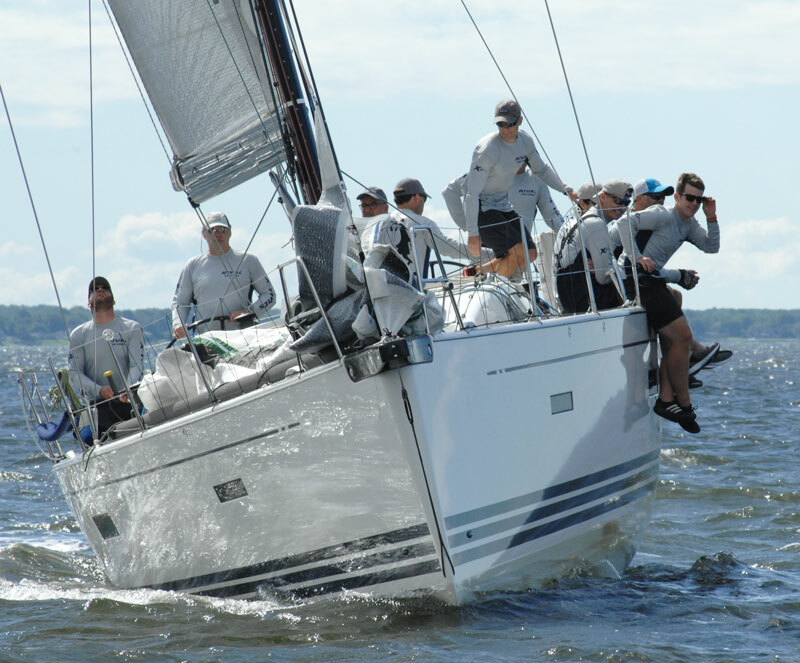 Jeroboam completed the course with an elapsed time of 11 hours, 9 minutes and 30 seconds and took first place in PHRF A with a corrected time of 13:47:18, which was almost two hours better than the runner-up entry. Notice of Race and other important documents for the 69th Down the Bay Race are posted here. Find last year's photos on SpinSheet's page here.